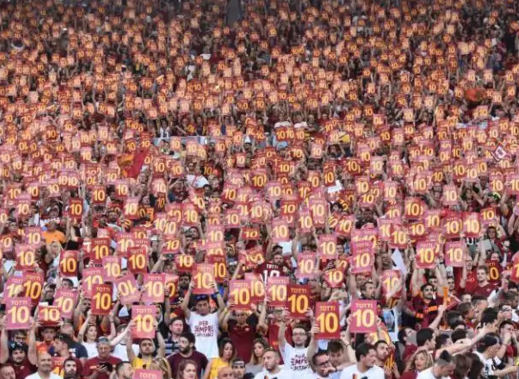 As the crowd weeped and listened to Totti’s words in silence, it was truly a moment of reflection on the life of their hometown hero. Born in Porta Metronia, a neighborhood which lies between the ancient gates that lead into the Eternal City, Totti would grow up to become one of the most talented soccer players in the world. With his on-field dominance, versatility as both a forward and an attacking midfielder, leadership as a captain, and off-the-field fame, it is easy to see why Totti will be terribly missed. Given that his departure marks the end of an era, it’s only right to look back at the defining moments in his career. 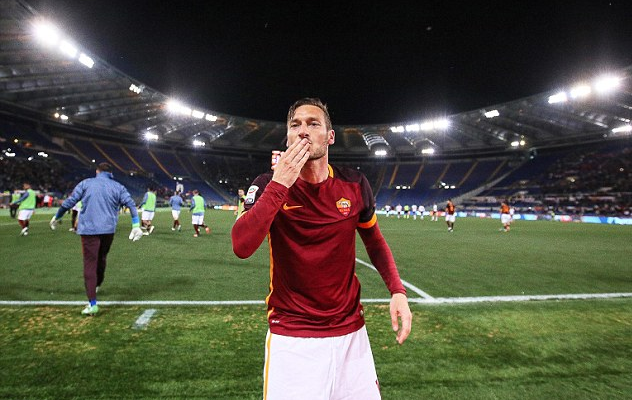 At the tender age of 16, Totti makes his debut for A.S. Roma, starting off strong with a 2-0 win over Brescia. Just five year laters, he gets named as club captain, the youngest player to ever become the leader of a Serie A team. In 2001, he wins his first and only Serie A title, scoring in the 3-1 win over Parma in the final game, clinching the championship. 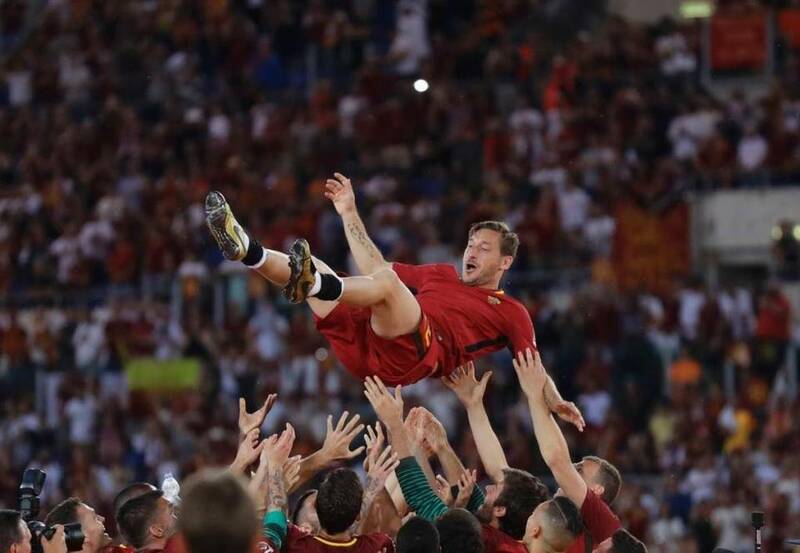 Demonstrating his love and devotion to his team, Totti has even said in the past that, “winning just one league title at Roma to me is worth winning ten at Juventus or Real Madrid.” The captain would go on to become Roma’s all-time top scorer in 2004, breaking Roberto Pruzzo’s old record of 138 goals and scoring 169 more from that point on. He was a huge contributor in the World Cup which Italy won in 2006 in an exhilarating tournament, scoring once and providing assists for three more goals. The following year, he was awarded the European Golden Boot, a prestigious trophy given each season to the top goalscorer of the league, Totti had 26. Not only was Totti popular on field but he was also a press favorite, with his self-effacing humor and positive attitude. He never distanced himself from the media and his personal life was often the subject of attention, frequently making headlines in Italian magazines and tabloids. The public continues to closely follow his marriage with former showgirl, Ilary Blasi, who has been a co-host of Italia 1’s hit show Le Iene since 2007. Their marriage was aired on television from the Basilica of Santa Maria in Aracoeli, with all proceeds having been donated to charity. As a fundraiser for a children's charity, Totti has also published two best-selling, self-deprecating books containing jokes the locals often made about him and his teammates. There are many rumors in the air about what may come next for the Roman legend, some believe he will remain as a director for Roma while others think he might play for a team in the States. 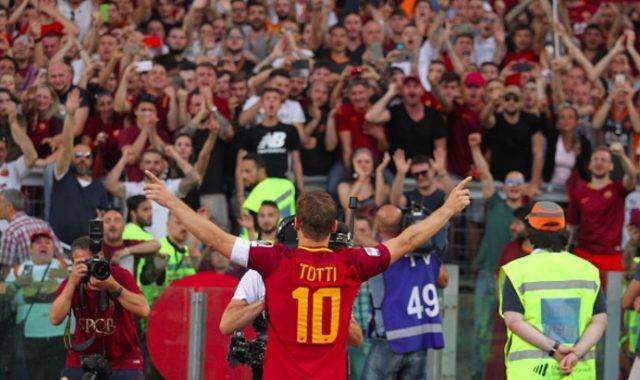 He concluded his final speech by expressing his gratitude for the city of Rome and admitting that he “would stay here another 25 years.” There are plenty of extraordinarily gifted soccer players out there but it is safe to say that there will never be another Francesco Totti.